The Amigo Insulator Plus 200g Stable Rug has a detachable neck cover included in the bag. The Amigo Insulator Stable Rug is always a best seller as it's warm, comfy and cosy to wear. The plus version of this medium weight stable rug includes a 150g hood so you're ready to wrap your horse up when the weather turns cooler. Made from a 210 denier outer to ensure durability in Horseware's classic original cut for an excellent fit. 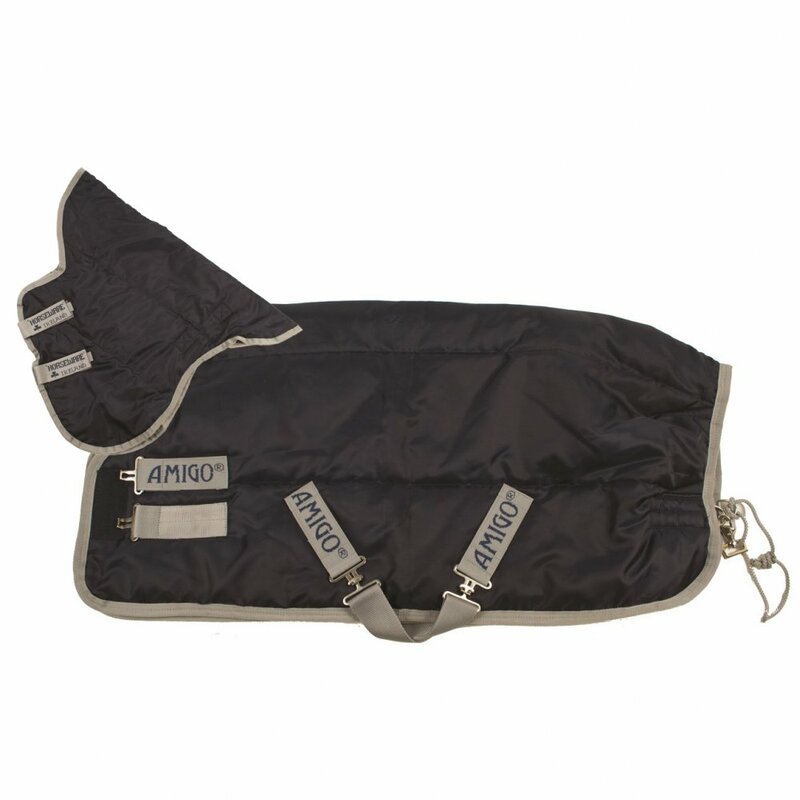 The Amigo Insulator Plus Stable Rug is the perfect sleeping bag for your horse!